Perhaps Bon Jovi was a prophet the day he penned the question, “who says you can’t go home?” Because that is exactly what Chad and Jennifer have done… return home. Upon graduating from Central Bible College, the Staffords have been in full-time ministry for over 20 years having served in almost every area of church work. Chad grew up in Daphne and played football and baseball at Daphne High School. He was a youth pastor in Daphne from 1999-2004, where the youth ministry became recognized as one of the best in the nation. He served as a football and baseball coach and chaplain at Daphne High School as he and Jennifer poured their lives into the Eastern Shore community. 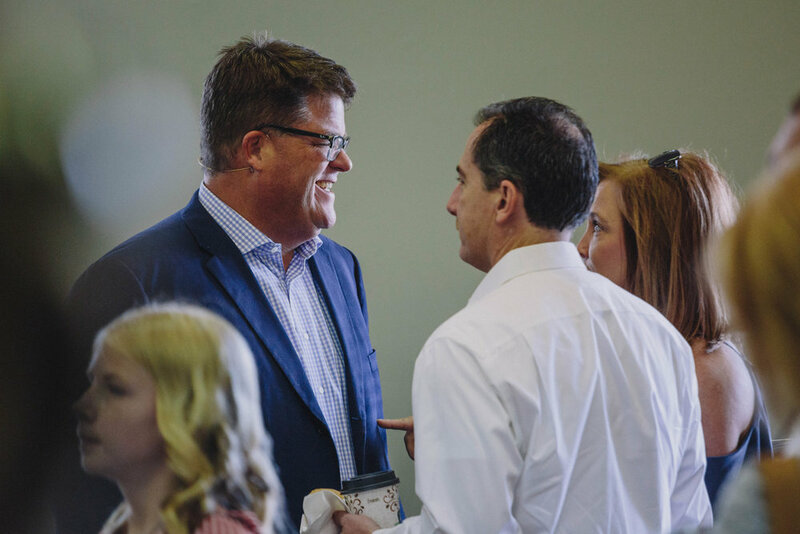 Following their time in Daphne, Chad and Jennifer served as Executive Pastors in south Atlanta, Georgia and Lead Pastors in Bentonville, Arkansas. They returned to Daphne in 2009 and launched Coastal Church in January 2010. On October 12, 2007, Chad & Jennifer welcomed their son, Evan Charles Stafford. The Staffords feel called by God to spend the rest of their lives here on the Eastern Shore. Coastal Church is the church they want to pastor and Daphne is where they want to live and raise Evan. When you’ve been all around the world, there is only one place left you to want to go. Home.